Just got my sample parts from Chuck and I must say, they look awesome. I really like the light park job that he has done on these and the quality is outstanding. The Bolt hold opens need a bit of a tweak on one bend so that is holding us up a bit. They should be ready to go shortly so get your name on the list by emailing me at rkelley91 at gmail dot com and I will put you on the list. These parts along with an AR-15 lower parts kit will allow you to populate a Nodak NDS-18S lower without having to buy an AR-180B first. You can then use that lower on your original AR-180, AR-180B, and Vulcan V-18. 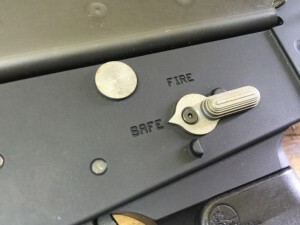 Using one on an original 180 will allow you to use standard AR-15 STANAG magazines instead of 180 mags. Pricing is $125 per set, shipped and insured in the continental US, Alaska and Hawaii slightly higher. No international sales at this time. 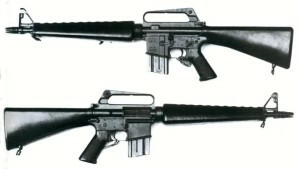 Now for some pics of this set in my SBR lower. 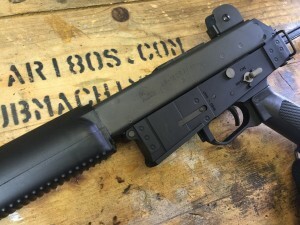 Reader Eric sent me a link to an older article on The Firearm Blog that talks about a mysterious Brazilian AR-18 Carbine. I think that we can actually find enough clues in this one known picture to postulate that this is a factory made prototype. This gun has some of the of the features found only on the earliest AR-18 guns. If we compare it to the first prototype SN: X001, we see that they both share the straight charging handle design and the lack of a dust cover. 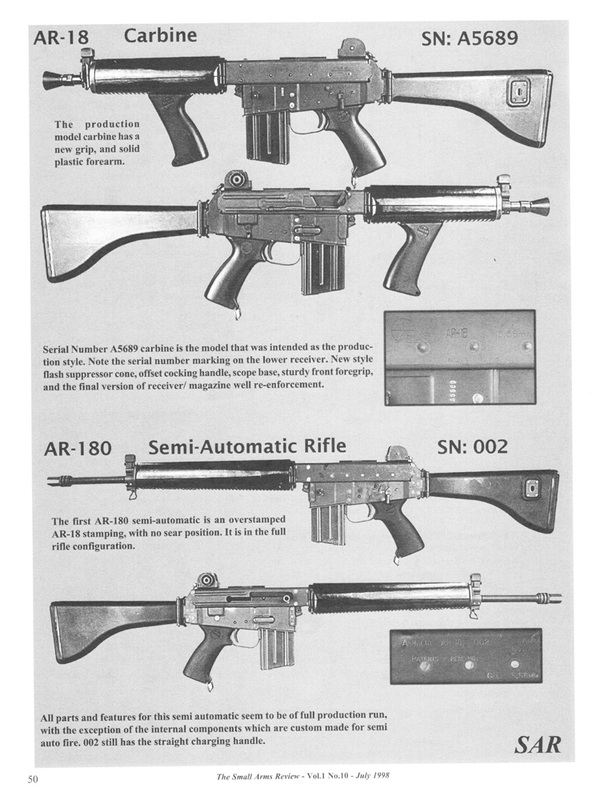 I believe it may have been built around the same time as the first AR-180 prototype seen here. It shares many more features with this model SN: 002. 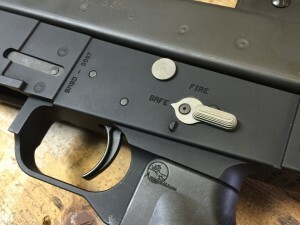 Straight charging handle, no dust cover, dovetail scope mount, stock folding mechanism. 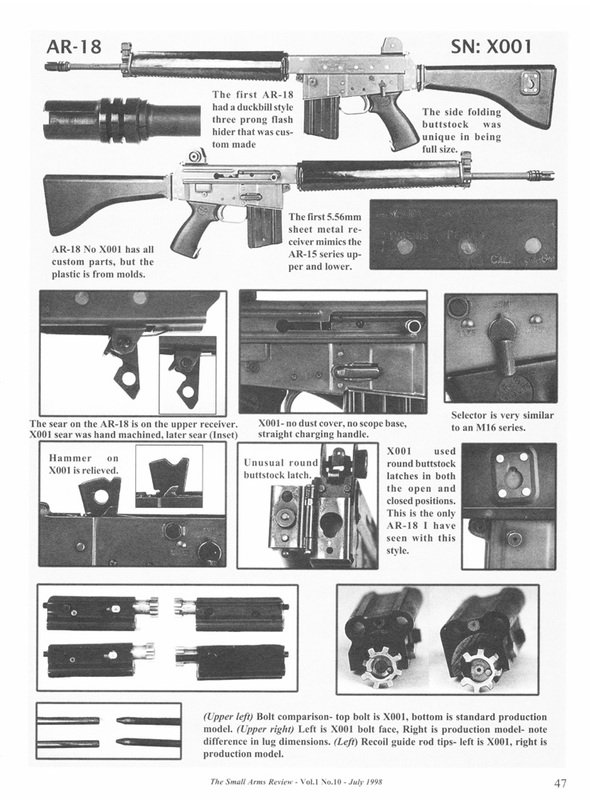 Finally, the original authors speculation about the front fore-grip not being a factory part is shown to be false when looking at the production model AR-18 Shorty, SN: A5689. 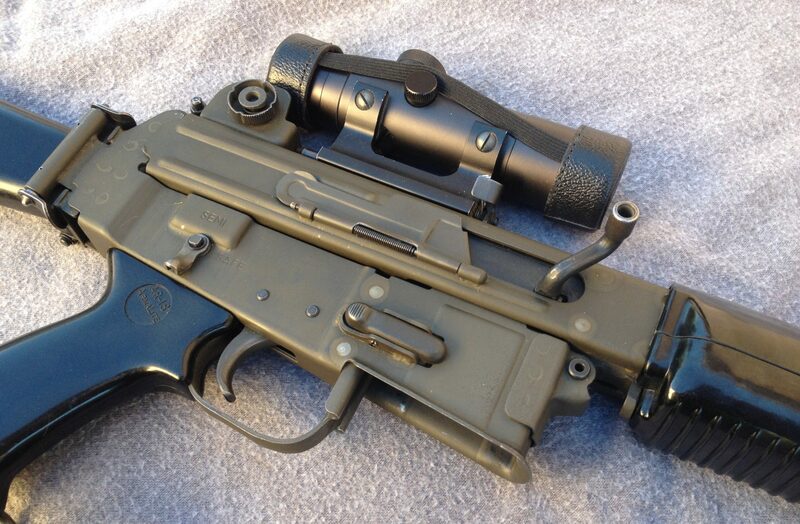 Clearly they are both modified factory hand grips. I think this is a very cool variant of the AR-18 and is quite reminiscent of the early M-16 carbine, the Model 605. 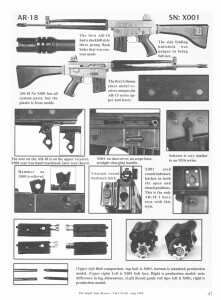 Of course after seeing the picture of this AR-18 Carbine, I am going to have to build one. Who’s with me? 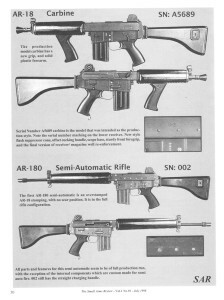 Try as I might I was unable to find a link to the original SAR article “The Lost Armalites” that I “borrowed” the majority of these pictures from. If anyone has a link so I may give them credit and a link-back, I would appreciate it. Also if anyone has the original magazine and would like to sell me a copy, I would like to add one to my collection. Please subscribe by adding you email address to the box on the right so you never miss an article.